With only one day in Florence, one obviously has to select carefully among the city's endless attractions. We will cover the major attractions and allow you some free time to explore your interests. The sights included in this tour are considered to be among the most important and popular. This tour will be conducted by deluxe minivan or minibus to allow you to access places where large coaches are not allowed. You will be able to visit more sites and fully enjoy your guide's commentary. Florence is a magical city that begs to be explored, enjoy shopping, dine at a street side cafe and enjoy this old world city. Dress for comfort so you can walk the town. 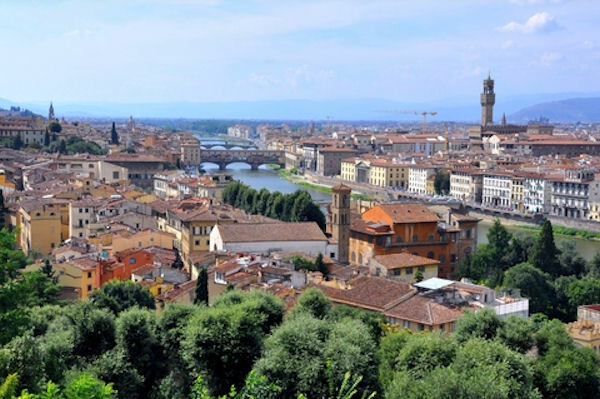 You will be provided with an orientation on your way to Florence and then will have time to explore on your own. On the way back to the ship you will be taken to Pisa for a photo stop if time allows.